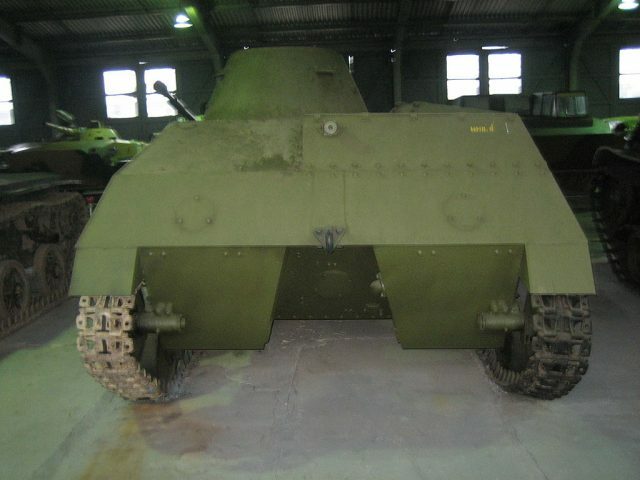 The T-40 logically followed up on the interwar T-38 and T-37A, both based on the 1930’s Vickers amphibious tankette. At the end of 1938, the special Research Department of factory No.37. under Chief Engineer N.A.Astrov, was tasked with coming up with a better overall design. The result was indeed an improvement in every direction. However, when it entered production in 1940, things took a different course. In the summer of 1941, after the German invasion, decisions had to be made to rationalize tank production and, since the T-40 was more complicated than a standard light tank, it was eliminated and the program terminated, which explains the small quantities delivered. 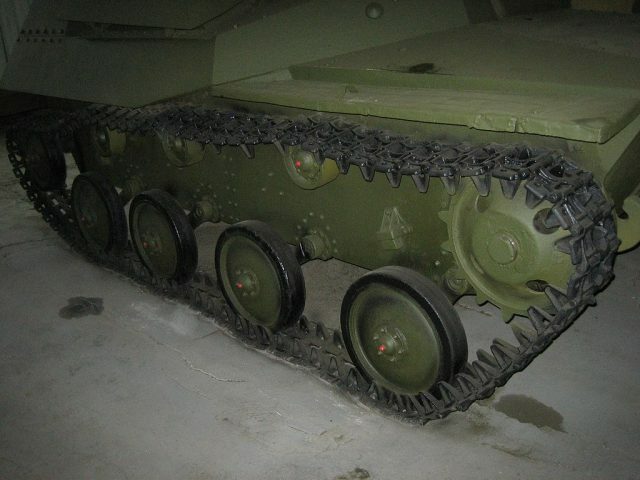 No amphibious tank would be designed in the USSR before 1949 (ASU-76). Aside from the different shape, much taller, the hull was all-welded (it was riveted on previous models) and watertight, but with reworked shapes for better buoyancy and hydrodynamics. There was a special water deflector and the hatches were hermetically sealed. The compartmentalization now allowed access to the engine from inside. The suspension comprised four pairs of roadwheels independently sprung on torsion arms, with an extra pair of rear tensioners and front drive sprockets. The narrow tracks were supported by three return rollers per side. There was no catwalk, the hull being directly sloped to overhang over the tracks. The tank was still small overall, with a two man crew, but the fighting compartment was roomier than previous models. The driver sat in the front center, with the commander in the turret, offset to the right, while the engine was located to his left. The driver had two periscopes and the commander three. There was also an Aviapribor magnetic compass and a 71-TK-3 16 km (9.94 mi) range radio. This allowed the addition of heavier armament, a “Dushka” (DShK) heavy machine gun supplementing the light DT machine-gun. 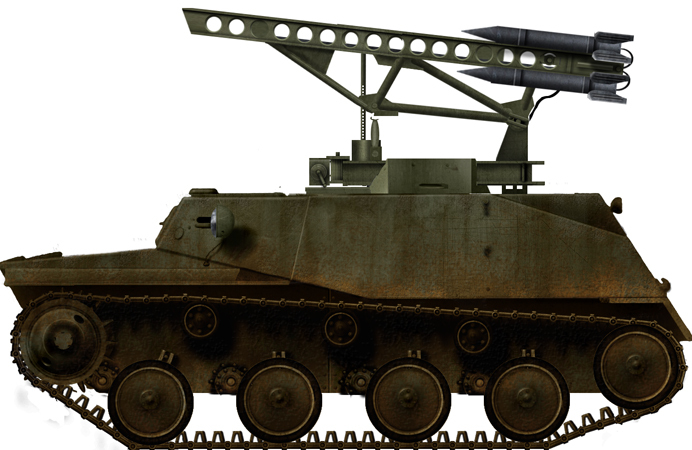 The DShK could fire at 4000 m (2.49 mi) with HE-AP B-30 and B-32 incendiary rounds. 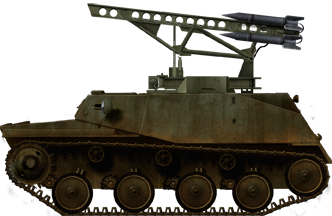 This firepower enabled it to engage light tanks and armored cars (penetrating 16 mm/0.63 in of vertical armor from a distance of 300 m/330 yd), while the sloped frontal armor, 13 mm (0.51 in) at the thickest, could either stop or deflect heavy machine-gun rounds. The designers also improved the protection of the rear propeller, which was set into an indent in the hull rear. The range was increased thanks to the addition of two fuel tanks of 100 liters each. The new tank was accepted into service in December 1939. Production was set up to start in October 1940 and it was intended to replace all previous models (several thousands of amphibious tanks). However, these plans were shattered in the summer of 1941. At the same time, more light tanks were needed, and the T-40 chassis was simplified and derived into the T-60. 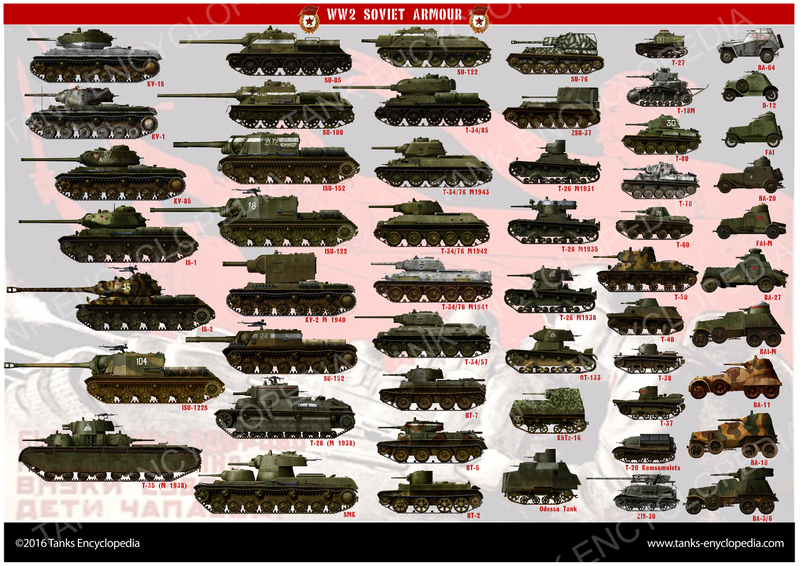 The latter became the Soviet standard light tank of the war, being produced to over 6000 examples until 1945. The costlier and more complicated T-40 was no longer considered a priority. The production was cut short and the factory lines later were relocated in the Ural, only producing T-60s. Total production ranges from 222 to 443*. Due to their small numbers, the T-40 never replaced the older models in all the reconnaissance units, as they were intended to, but deployed in Brigades of mixed composition. There is a profusion of photos from the winter of 1941 showing the T-40 in operation. After these events, the T-40 became a rare occurrence, most being lost in action, and a few were apparently kept for training until 1946. There was a single known variant of this vehicle which entered production. 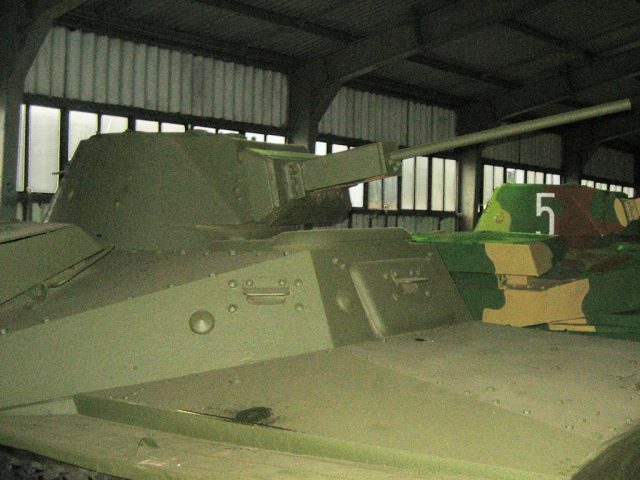 The last production batch of this vehicle was given BM-8-24 Katyusha rocket racks instead of the turret. Their fate is unknown. A single T-40 was armed with a 23 mm (0.91 mm) PT-23TB automatic gun. It received a flat rear plate and some other modifications, but the gun proved problematic. 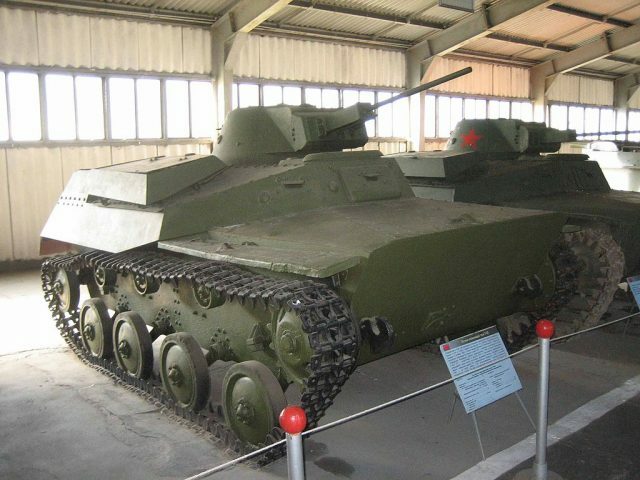 Another version was the T-30, which was no longer amphibious and was armed with a 20 mm ShVAK cannon. It led to the creation of the T-60. T-40 of a composite brigade in the summer of 1941. Camouflaged T-40 in a three tone camouflage in the fall of 1941. T-40 armed with a 20 mm (0.79 in) ShVAK autocannon later adopted on the T-60 and T-70, Moscow area, winter 1941-42. T-40 BM-8-24 Katyusha rocket launcher in 1942.